Five Wellington sides will look for glory at the Condor Sevens national finals, once again being hosted by Auckland’s Sacred Heart College. Scots College and St Mary’s return as the regional winners, joined by St Pats Silverstream and Wainuiomata High School’s girls side. Scots College head back gunning to go one better than last year when they fell in the final to Hamilton Boys. They were clearly a step ahead of the pack on Labour Day, progressing with ease and then relatively untroubled in beating Silverstream 26-10. They have the advantage of being able to return several players from last year’s side including hot-stepping Roderick Solo (who made the tournament team), skipper Jaylen Tuapola, Caleb Cavubati, and Sage Shaw-Tait, plus the interesting addition of NZ Barbarians schools prop Junior Uelese. They’re in Pool B get underway against Auckland’s Tamaki College, before matches against another local school in Aorere College and finally St Thomas’ of Canterbury. It would be something of an upset in they don’t progress to the Cup section on Sunday. St Pat's Silverstream return after missing out last year where Rongotai was the second Wellington representative. With few returnees from two years ago, they would have learned a lot from the local regional. They do however face a tough road to make the Cup draw for Sunday with New Plymouth’s Francis Douglas and then Cambridge HS to be overcome before facing three-time defending champions Hamilton Boys to end Day 1 and are one side where the now-bloated Condors format where there isn’t a second chance works against them. Fritz Rayasi is the only survivor from their squad from two years ago and much will be expected of him, with Chris Hemi expected to provide the power and Rocco Berry likely to sit in the playmaker role. Tony Solomona, a standout in junior rugby a couple of years ago, is also in their squad. Scots College will be one of the favourites, but all sides will be out to prevent Hamilton Boys High from making it four-in-a-row and equaling Kelston’s record of successive wins. 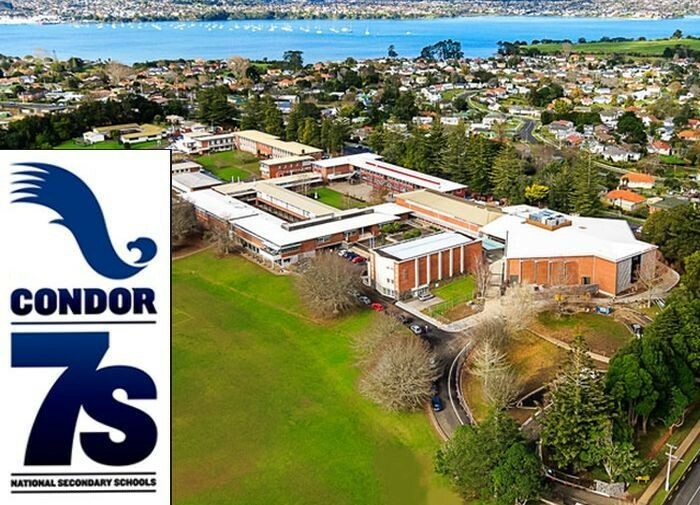 Kelston, Mount Albert Grammar and hosts Sacred Heart can’t be ruled out, and neither can the likes of national XV’s runners-up Napier Boys nor fellow Super 8 schools Hastings and Rotorua Boys, and co-ed powers Feilding and St Peters Cambridge. And there’s always the likelihood that a surprise package will emerge as seen in recent years with Nelson College and Tauranga Boys, potential dark horses in Wesley and Aorere. The notable absentees are again some of the big Auckland schools, with national champions St Peters Auckland, Auckland Grammar, and Kings College all missing. Over in the Girls section St Mary’s College will be out to regain their crown from two years ago, but the possibility exists that they’ll go in underdone having not had any real opposition locally; the same problem that cost them their national 15s title. They’ll have an impressive array of talent, aided by the decision to let Dhys Faleafaga turn out for her school rather than the Women’s representative side in Levin. Renee Savai’inaea will captain the side, having played in last weekend’s Ignite 7’s event, while they have Olivia Aunoa and sisters Katherine and Temalesi Rayasi (joining brother Fritz) back from last year, along with Julie Tusa who was there 12 months ago with Aotea College. One player to watch could Maddie Feaunati, daughter of coach and Wellington club legend Zac Feaunati. Their draw has them in Pool L with Long Bay College and Opotiki College for their first two games, with a tilt against an underrated Gisborne GHS side to close the first day. At the other end of the scale are Wainuiomata High School who return to for the first time since 2012 and qualified despite finishing only fourth in the Girls section on Labour Day on account that the Hutt Valley HS and Sacred Heart sides both had players from other schools in their sides, making them ineligible. They also face a hard draw in Pool J, having to take on last year’s runners-up Christchurch GHS and perennial power Southland GHS, before a clash with Putaruru College to finish Saturday. As with the Boys its defending champions Hamilton Girls that everyone is out to beat, and they’ll have the last two tournament MVP’s and Youth Olympians Jazmin Hotham and Montessa Taikarena spearheading their defence. Other sides seeded top include St Mary’s, Christchurch Girls, Hurricanes XV’s winners Manukura, Howick College, and Motueka HS who have several Tasman women’s reps in their squad; and it just as likely that an unfancied side will emerge as the tournament progresses. They’re being coached by recent student and current Wellington Pride player Brooke Tauaneai, who might just be the youngest person in that role this weekend. The fifth side to venture north are in action the next two days, as Scots College’s Under 15 squad make their (and Wellington’s) debut in the age grade section. They’ll have high hopes of success as well having looked impressive in the U15 tournament here. They’ll look to make use of the physicality of Jonty Bird and Eti Campbell to set the platform for them and exploit mismatches. They are drawn to face a trio of Auckland sides in Manurewa HS, Kings College, and Tangaroa College on their first day. They, and their senior side, will be playing for one of their schoolmates currently undergoing treatment in Auckland’s Starship Hospital for cancer. Live coverage of the 2018 Condor 7’s is on Sky Sport with continuous coverage of matches on the #1 field at Sacred Heart. That starts at 12pm on Saturday and 11am on Sunday, and all four Wellington sides will make at least one appearance. St Mary’s will be up first with their match against Long Bay College at 12.30pm, Wainuiomata’s clash with Christchurch Girls is at 2.30pm, before Silverstream face Hamilton Boys at 3.50pm followed immediately afterwards by Scots up against St Thomas’. Scots (from): Caleb Cavubati, Kees Jansen, Oryaan Kalolo, Hamish Mansell, Eparama Sailo, Isaac Sailo, Sage Shaw-Tait, Roderick Solo, Manahi Tipoki, Jaylen Tuapola ©, Junior Uelese, Sasa Va’a, Kavagn Wanoa, Ethan Webster-Nonu. Silverstream: Ryan Amir, Luani Ammunson, Rocco Berry, Swayde Brightwell, Sam Clarke, Mika Felix, Chris Hemi, Riley Higgins, La’i Leleimalefaga, Sivarn Owens-Agnew, Fritz Rayasi, Tony Solomona, Satu Uchicha. St Mary’s (from): Olivia Aunoa, Tara Campbell, Lourdes Faifua, Drenna Falaniko, Dhys Faleafaga, Maddie Feaunati, Nia Leighton, Nive Leota, Katherine Rayasi, Tema Rayasi, Renee Savai’inaea ©, Julie Tusa, Kyrah Whitman, Alyssa Wilson. Wainuiomata: Nikayla Aspinall, Precious Auimatagi, Zariah Buchanan, Ruby Clark, Emma-Jaide Gray, Bree Itula, Charise Nuku-McGregor, Hunny Taingahue, Alexis Tauaneai, Promise Tuari, Zaria Tuitama, Kylee Williams. Scots U15: Jonty Bird, Ietitaia Campbell, Aidan Christians, Ayden Hammond, Eric Lawson, Patrick Leaupepe, Cody Lokotui, Tana Maene-Lokeni, Tane Mumu, Kueva Samoa, Muri Stewart, Maea Tema-Schmidt.